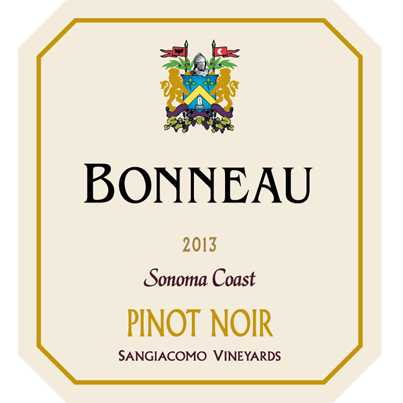 The grapes for our 2013 Pinot Noir come from the prestigious Sangiacomo Vineyards that lie within the Sonoma Coast growing region. In the glass, this wine shows off its crystal garnet color with aromas of ripe black cherries, pomegranate, and rose petal. Well balanced, supple tannins dance across the palate accentuating this wine’s deep fruit and spices. Flavors of pomegranate, wild strawberry, cola, and clove spice follow the tannins and acidity through to the long elegant finish.